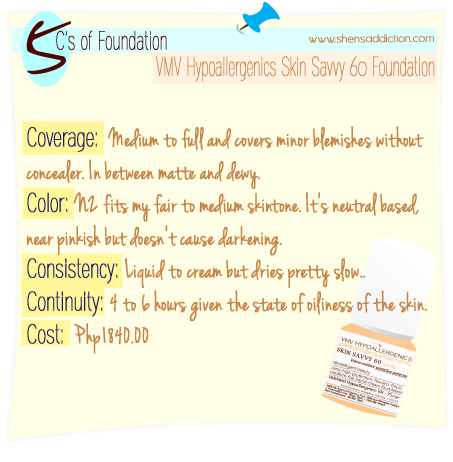 When living in a tropical country and the sun shines on us most of the time, seeing SPF 60 on a foundation descrip could be life changing. I exaggerate of course. But then again, wouldn't it be convenient? Island girls have skin that easily tans, have larger pores and tend to be on the oilier side. And since most oily skinned ladies tend to have pimples, blemishes is natural aftermath. And if you are exactly what I just describe and you are as "conscious" as I am when it comes to their skin, you apply both sunblock and skincare all at the same time. Am I right or am I right? 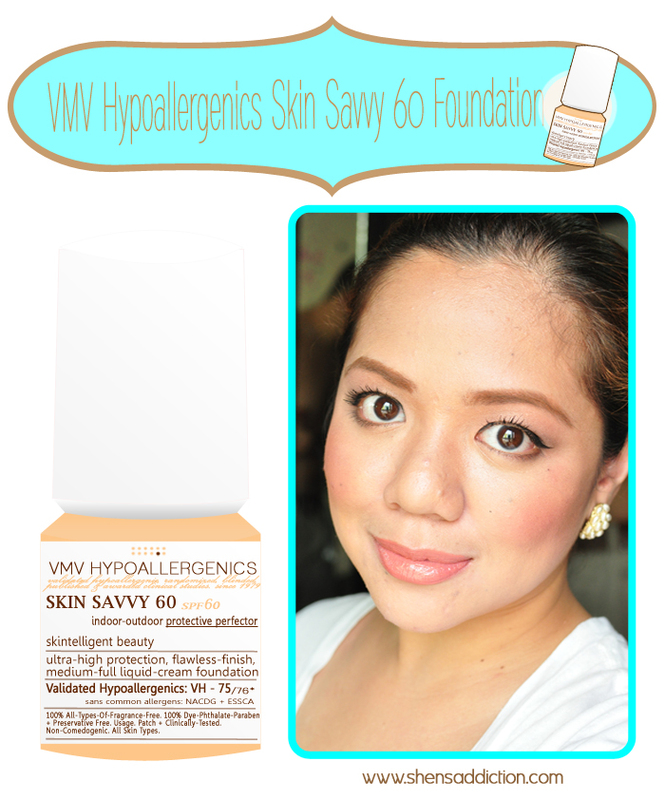 Enter VMV Hypollergenics Skin Savvy 60 Foundation, a second version of their former one of the same name. 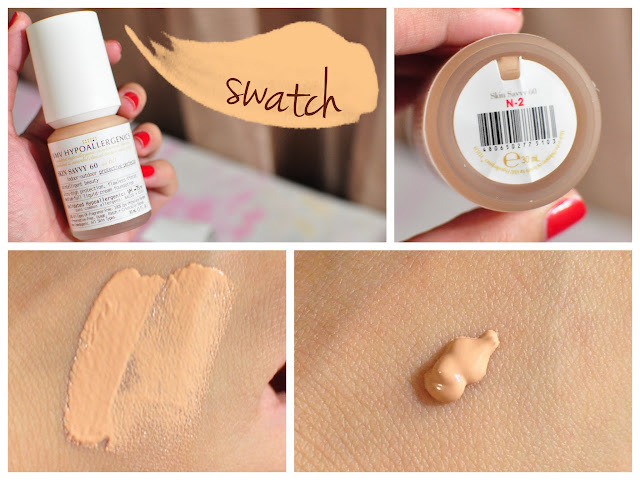 The one that earned a spot on my Top Makeup Picks for 2010. This new one comes in a bottle and hygeniece pump and contains more products (albeit a bit more expensive). Like it's predecessor the new Skin Savvy 60 has become quite a favorite. It's got high SPF that allows me to skip sunblock. It's got a semi-matte finish that gives a medium to full coverage. Compared to the former one, the new Skin Savvy has better coverage, easy blendability and better staying power. What I love that it retained its feature that doesn't aggravate pimples nor does it cause it. It's actually ideal for those who currently are battling with pimples and cystic acne who wants the benefit of both sunscreen and coverage in one. 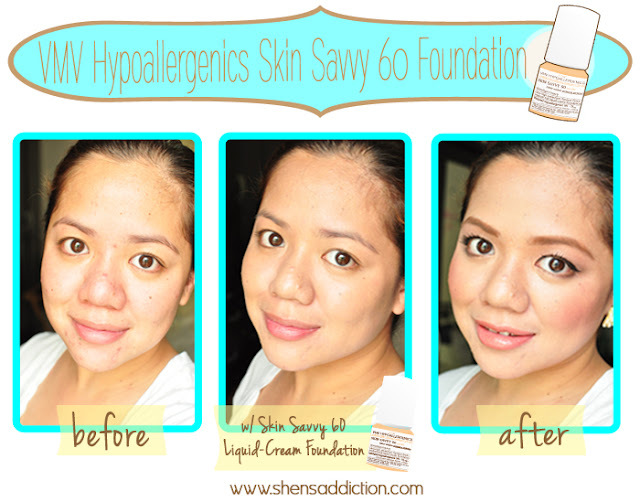 Since Skin Savvy is both, it's ideal for thosw hwo want to apply less products during your A.M. regimen. I was surprised it held ground pretty well. Last Friday, I went for both work and play and found that my the foundation was still quite intact up until the evening. Given I've had glycolic facial at Flawless recently, I thought it was nonetheless performed well. Is it worth your money? I think so. It works for me and I think my skin is like most women out there, maybe even worst. I suggest you try this out first. Go for a makeuove at a VMV counter, see if you like it. Skin Savvy is pretty steep and is on the high end. Some also doesn't like the high SF as it tends give a white cast on photos. I didn't really experience any of that.